Mediators play a significant role in settling different types of disputes, especially civil disputes. While mediation is a vital aspect of settling disputes, many mediators find it difficult to develop, draft, and complete mediation statements. While other forms of legal documents have a definite structure and design, mediation statements lack the structure or standard requirement regarding their substance and form. Mediation has become integral to the litigation process and offers avenues through which disputes can be settled amicably. 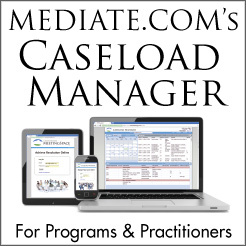 What Topics Should You Include in Your Mediation Statement? While mediation statements lack a definitive structure and requirement on content and forms, a number of topics that are vital to developing an effective mediation statement should be considered and included. These topics highlight the different segments that make the mediation statement applicable to all parties involved in the mediation process. They include a summary of the relevant case facts and the key players involved in the mediation process. Taking into consideration the informal nature of mediation statements, there is a need to develop a detailed description of all the facts associated with the case in question. “The bulk of the mediation testament should put the facts of the case into context to elucidate all underlying aspects that have to be taken into consideration by parties involved in the mediation process,” notes Jessica Bowman, Chief Content Writer at APA Style Writing Service. This segment summarizes the key facts of the case such as the parties involved, the nature and length of the relationship between the involved parties, the emergence of the dispute, the nature of the dispute, and any other happenings since the dispute was discovered. Owing to the fact that the mediation of civil cases is associated with a number of individuals who are involved in the process, it is important to highlight and identify all relevant parties to the mediation. Cases that are complex often involve numerous individuals, such as expert witnesses and corporate officers. As such, it is vital to the mediation process that all individuals and key players are identified to recognize the interests that are in play. What Other Factors Should One Consider? Owing to the nature of mediation statements, the delivery of the message and content of the mediation statement should take into consideration the requirements for informality. “The tone employed in delivering a mediation statement has to be slightly or significantly less formal compared to legal briefs prepared for court proceedings,” says Mia Robbins, Senior Legal Writer at ConfidentWriters. This can be achieved by either eliminating any legal jargon and citations associated with the case or adopting a positional and led pugilistic tone in delivering the message of the statement. This is because a mediation statement is not designed to castigate the opinions of a perceived opponent, but rather develop a solution that is acceptable by all parties involved. The risk is one of the key aspects that influences the mediation process, where the comprehension of the underlying risk could lead to a more expedient solution to an existing dispute. Developing a summary that focuses on the risks associated with a failure to grant the proposed motion sets into perspective the scope and depth of the mediation process. Understanding the risks associated with a given case is vital to aiding the mediation process by understanding the strengths and weaknesses of the mediation from the point of view of each of the parties involved. In conclusion, the mediation process is a vital aspect of settling disputes, especially civil disputes. Owing to the nature of the mediation process, the mediation statement has to take into consideration the tone employed in delivering the message as well as the risk factors associated with the case. Additionally, the mediation statement should contain a summary of the case facts as well as the key players involved. Paul Bates is a professional writer specializing on writing mediation agreements as well as other legal documents. He also contributes to Example Papers and SwiftPapers writing platforms where he shares his expertise.